This is an article published in our February/March 2017 Issue. The Australian Defence Force (ADF) is one of the best-equipped militaries in the Asia-Pacific region and several programmes are underway introducing new and upgraded platforms and systems across the naval, air and sea domains. The ADF comprises the country’s three armed services: the Royal Australian Navy (RAN), Royal Australian Air Force (RAAF) and the Australian Army. In the financial year 2016 to 2017, the country will spend $23 billion on defence, according to the country’s 2016 Defence White Paper, which outlines the Australian government’s defence procurement and strategic priorities. This, the publication continues, is expected to increase to $41 billion by 2026; an 81 percent increase. This will cause defence spending to reach two percent of the country’s Gross Domestic Product (GDP), the Defence White Paper continued, over the next ten years. The publication added that defence spending will be ‘decoupled’ from GDP growth meaning that even if the Australian economy contracts in the coming decade, defence spending increases will continue. Central to the RFT is sovereign capability. 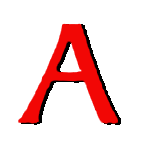 The RFT calls for each bidder to develop an Australian Industry Capability plan that maximises the opportunities for Australian industry participation, including the transition of their existing supply chains to Australia, and the integration of local suppliers into their global supply chains vis-à-vis the Sea-1180 initiative. This commitment to Australia’s naval shipbuilding industry was first outlined in the Defence White Paper (see above). It added that the government’s strategy is centred on a long-term continuous build of surface warships in Australia, involving construction of its OPVs and future frigates domestically. The paper noted that: “a continuous build of our major warships and minor naval vessels will see defence better manage the demand for naval vessels to ensure continuous construction over the long term.” Vitally, this approach aims to end the so-called ‘boom-bust cycle’ for shipbuilding, by which yards enjoy several years of production while they are building warships, only to be followed by fallow periods when orders are completed. Moreover, the Defence White Paper argues that the government’s approach will lower the costs of acquiring naval vessels and provide a long-term, sustainable future for the shipbuilding industry. The Australian government has committed to an $89 billion investment programme in naval ships and submarines over the next 20 years in order to deliver on this plan, while also generating significant economic growth and sustaining several thousand jobs in the country over the coming decades, as specified in a press release from the Australian prime minister’s office in August 2015. The other two major projects that fall under this investment umbrella are the Pacific Patrol Boat programme (worth more than $500 million), and the Future Frigate initiative (worth more than $35 billion), the Defence White Paper continues. The Pacific Patrol Boat programme will see Austal Ships (selected as the preferred bidder in May 2016) construct and maintain up to 21 steel-hulled vessels (19 examples, with options for an additional two vessels), with a further $400 million earmarked for life-support, sustainment and deep maintenance of the vessels over their service life. 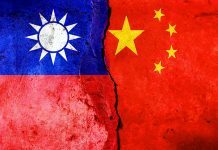 None of these vessels will enter service with the RAN, and will instead be supplied to the Cook Islands, the Federated States of Micronesia, Fiji, Kiribati, the Marshall Islands, Palau, Papua New Guinea, the Solomon Islands, Samoa, Tuvalu and Vanuatu. The project is part of the government’s Pacific Maritime Security programme that aims to enhance practical maritime security cooperation across the South Pacific, with the vessels to be delivered from late 2018, with Austral’s official literature adding that deliveries will continue until circa 2023. The project received combined first and second pass DOD approval in April 2016 and the following month a $305 million contract was signed with Austal for 19 patrol boats and an option for two more. The Pacific Patrol Boat design is 39.5 metres/m (129.5 feet/ft) long with a beam of eight metres (26.2ft) and a loaded draft of 2.5m (eight feet), Austral’s official figures note. Capable of travelling at 20 knots (37.4 kilometres-per-hour), Austral states that, when travelling at twelve knots (22.2km/h) the design possesses a 3000-nautical mile (5556-kilometre) range, with each vessel accommodating 23 people. 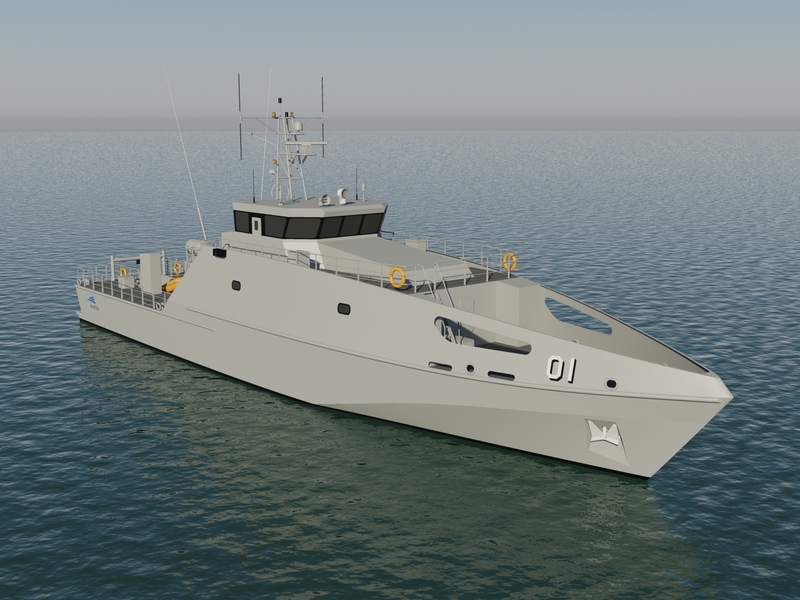 An Austal spokesperson told AMR that the Pacific Patrol Boat programme is currently in the detailed design phase, in preparation for the Detailed Design Review (DDR) by the Australian government during early 2017. Following the DDR the programme will move into the production phase with delivery of the first vessel scheduled for October 2018. The Future Frigate programme will see the navy’s ‘Anzac’ class frigates replaced, the Australian government has stated. 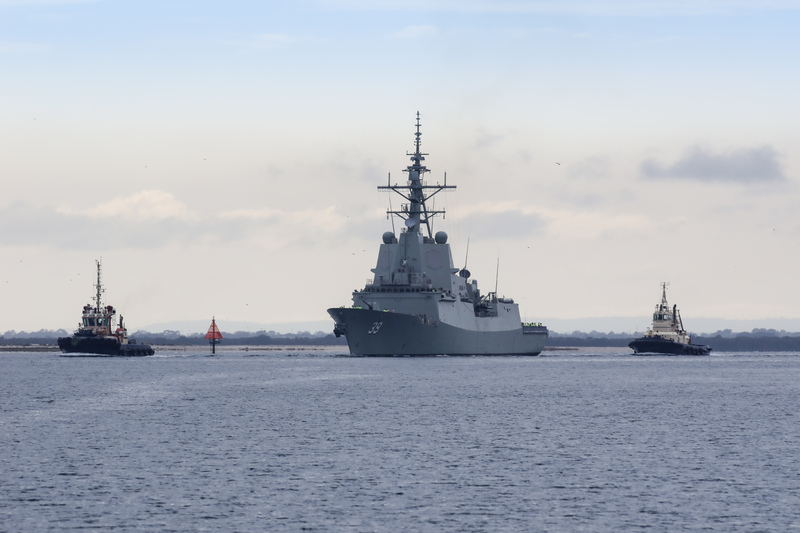 In order to keep work flowing in South Australia this programme was brought forward under the Defence White Paper, with continuous construction set to begin in 2020 as work on the OPVs moves to Western Australia (see above). First pass approval has been achieved for the frigates, with three designers: BAE Systems offering the ‘Type 26’ class frigate, Fincantieri offering a design based on the Franco-Italian ‘Acquitaine/Bergamini’ class frigate and Navantia offering a redesigned version of the ‘Álvaro de Bazán’ class frigate operated by the Armada Española (Spanish Navy), shortlisted to refine their designs. The design will incorporate the Australian-developed CEA Technologies CEAFAR S-band (2.3-2.5/2.7-3.7 gigahertz) naval surveillance radar, as noted in a May 2016 article published by the Australian Naval Institute, a naval advocacy organisation based in Canberra. The Australian government, meanwhile, has announced that it expects to achieve second pass approval in 2018, following completion of the competitive evaluation process. The other major shipbuilding programme currently underway for the RAN is the ‘Hobart’ class destroyer project. 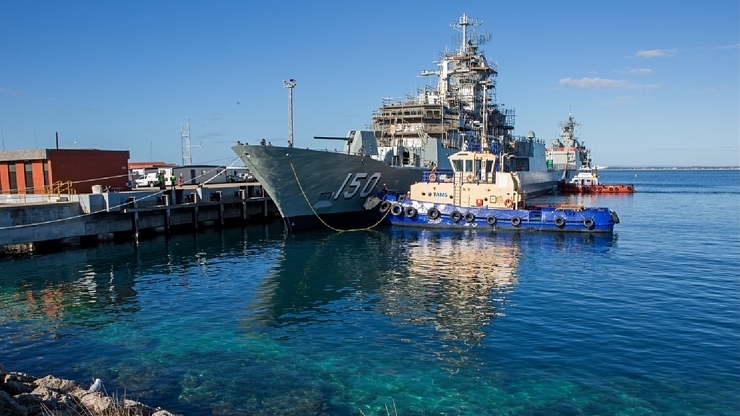 Three vessels are being delivered by the AWD Alliance which includes shipbuilder ASC, Raytheon’s Australian subsidiary and the government’s Capability Acquisition and Sustainment Group. Using the ‘Álvaro de Bazán’ class (see above) as its design, the RAN expects to use these ships for Anti-Air Warfare to protect the fleet and coastal areas. RAN specifications call for these ships to be armed with the Lockheed Martin Aegis Combat Management System incorporating the firm’s AN/SPY-1D(V) S-band naval surveillance radar combined with Raytheon’s RIM-66 SM-2 family semi-active, radar-homing surface-to-air missiles; the RAN has shared no details as to which precise variant of this missile it will use onboard these vessels. These ships will also carry an Sikorsky MH-60R Seahawk naval support helicopter. Construction began in 2010, and in September 2016 the first destroyer, HMAS Hobart, completed builder sea trials off the coast of South Australia. These trials tested her hull, propulsion and navigation systems, and will be followed by a second set of trials in early 2017 to test her combat and communications systems. The second destroyer, HMAS Brisbane, was launched in December 2016, while the third, HMAS Sydney, will undergo hull consolidation in August 2017, the AWD Alliance has stated. In April 2016 DCNS was selected as the preferred international partner for the design of the twelve conventional hunter-killer submarines (SSKs) which will replace the RAN’s existing ‘Collins’ class SSKs , with the first units expected to begin entering service in the early 2030s, and construction extending into the late-2040 to early-2050 timeframe, according to media reports. Meanwhile, the RAN’s anti-submarine warfare capabilities are being enhanced with the entry into service of the MH-60R to replace the RAN’s Sikorsky S-70B2 Seahawk naval support helicopter. These helicopters will be deployed by the RAN’s ‘Hobart’ class destroyers and ‘Anzac’ class frigates. 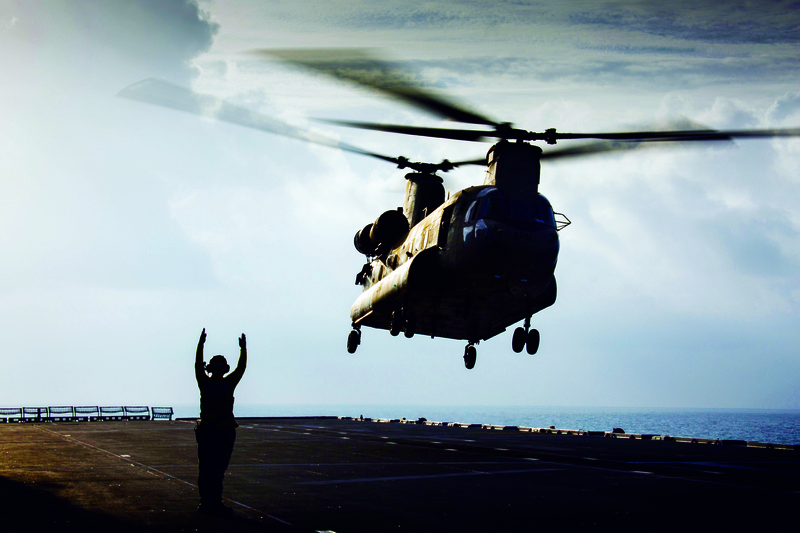 Lockheed Martin, the owner of Sikorsky, is delivering the 24 MH-60Rs under a foreign military sales agreement between the Australian and US governments. The final MH-60R was delivered to the navy in July 2016. 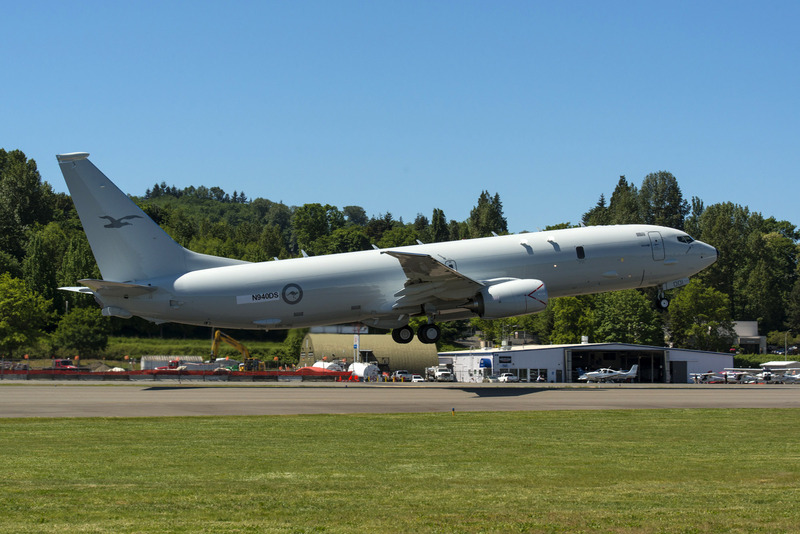 In the RAAF domain, the force has a programme to acquire the Boeing P-8A Poseidon Maritime Patrol Aircraft (MPA) to replace its current Lockheed Martin AP-3C Orion MPA fleet. The P-8A programme has also reached a new milestone, with the first aircraft arriving in Australia in November 2016. In 2016, the Australian Army completed its deliveries of Boeing CH-47F Chinook heavy-lift helicopters. Seven CH-47Fs were ordered in 2012 under a Foreign Military Sale (FMS) with the US government. Deliveries were announced as complete by Boeing in September 2015; and the 2016 Defence White Paper confirmed that an additional three units were to be procured, bringing the fleet up to ten aircraft. These three aircraft, also ordered under an FMS, arrived in country in June 2016. The latest variant CH-47F model will enhance the Australian Army’s airlift capability and complement the army’s NH Industries MRH-90 Taipan medium-lift utility helicopters. 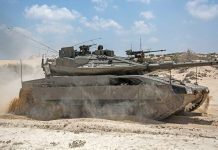 In the land domain the biggest programme underway is the army’s Combat Reconnaissance Capability, being carried out under Phase-2 of the DOD’s Land-400, which acquires the next generation of armoured fighting vehicles to support the army, according to the DOD. In July 2016 the government announced that BAE Systems and Rheinmetall had been shortlisted as the two preferred bidders for the project, with contracts for risk mitigation activity signed with both companies the following month. The project is seeking a replacement for the army’s MOWAG/General Dynamics’ ASLAV eight-wheel drive armoured vehicle family with BAE Systems offerings its AMV-35 and Rheinmetall its Boxer; both of which are eight-wheel drive vehicles. As of early 2017, both the AMV-35 and Boxer vehicles are now in-country undergoing a nine-month period of capability trials, including exhaustive testing in areas including protection, lethality and mobility, according to media reports. These reports continue that one of each vehicle type will be subject to mine blast attack to determine its ability to protect soldiers. 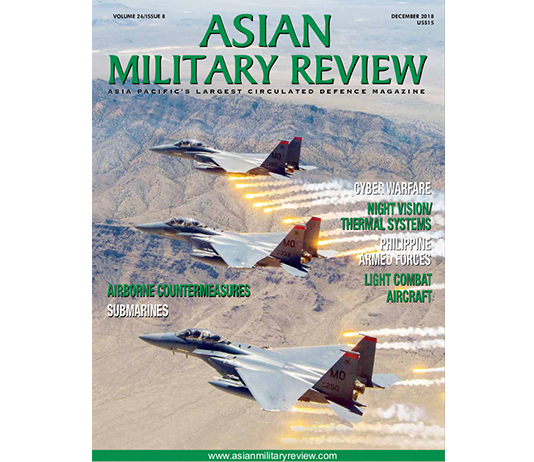 More discussion on Australian Army armoured vehicle procurement can be found in Stephen W. Miller’s Fighting Talk article in this issue. Meanwhile, the DOD’s Land-121 programme, which acquires a host of new all-terrain vehicles for the army continues to rumble on. Vehicles under Phase-4 of the programme, the Protected Mobility Vehicle–Light (PMV-L) for command, liaison, utility and reconnaissance missions, are beginning to arrive in the country (see below). The government signed a contract with Thales in October 2015 for the acquisition and support of 1100 Hawkei four-wheel drive vehicles and 1058 trailers. 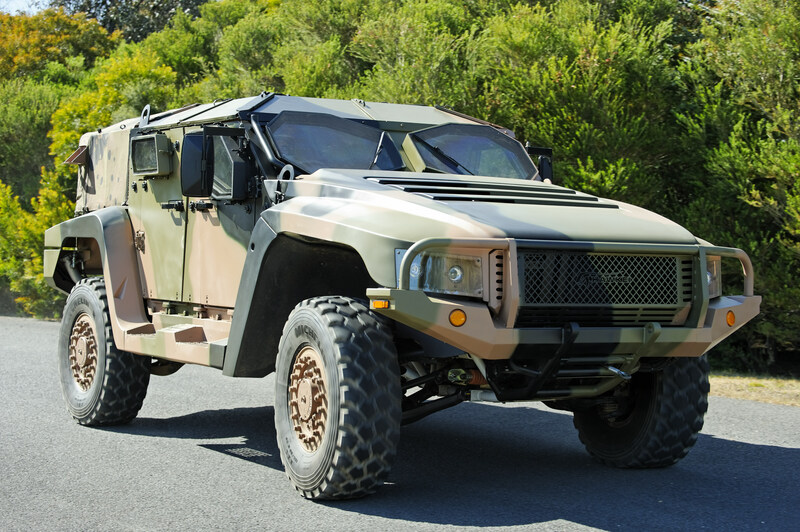 According to the government, the Hawkei is expected to deliver an entirely new capability for the Australian Army, providing a level of protection comparable to the Thales/Oshkosh Bushmaster mine-resistant/ambush-protected vehicles, but with around half the weight. The first batch of ten vehicles was delivered to the army in November 2016, with full rate production set to commence in 2018, according to the DOD. Away from vehicles, soldier capabilities are set to be boosted with the acquisition of new equipment. Following a competitive bid and field testing process L-3 Communications was awarded a $208 million contract in November 2016 that will see the company deliver 18760 Night Vision Goggles (NVGs), 14400 Laser Aiming Illumination Devices (LAIDs) and 4360 Laser Aiming Illumination and Range-finding Devices (LAIRDs): “L-3’s NVG, LAID and LAIRD systems represent the latest advancements in small, lightweight, high performance products for the individual (soldier),” Mike Gilroy, vice president of programmes for L-3’s Insight Technology division, told AMR: “As the developer and original equipment manufacturer of the NVGs, LAIDs and LAIRDs, L-3 is the only company to offer a fully-integrated solution that allows the (soldiers) to see everything, target anything, anywhere at any time.” Mr. Gilroy added that deliveries of the NVGs, LAIDs and LAIRDs will occur concurrently over a five year period. Finally, Electronic Warfare (EW) was a major concern of the Defence White Paper, with plans announced to strengthen EW support to naval, air and land forces for operations in hostile electromagnetic environments including through the introduction of a new electronic intelligence/electronic warfare aircraft based on a long-range commercial business jet in the early 2020s. 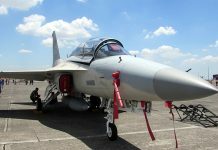 The fleet of twelve Boeing E/A-18G Growler electronic warfare aircraft to enter service from 2018 will be periodically upgraded over their operational lives to maintain commonality with the E/A-18G fleet operated by the US Navy, the DOD has revealed. In September 2016, the DOD announced a major new joint project worth $500 million that would aim to significantly expand EW capacities across Australia’s maritime and land forces, and provide new equipment and infrastructure to sharpen the ability of warships and army units to deal with threats emerging across the electromagnetic spectrum. To this end, funding has since been allocated to BAE Systems’ Australian subsidiary to develop counter-surveillance technologies for the RAN. 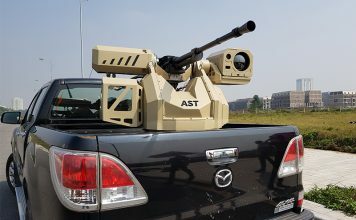 A future land platform was also unveiled by the government’s Capability Acquisition and Sustainment Group in September 2016 which will see a Bushmaster vehicle configured for EW missions. Nevertheless, no further details have been released regarding when, and how many, of these vehicles may enter service.